This interdisciplinary engineering facility provides collaborative work space for computational engineering. 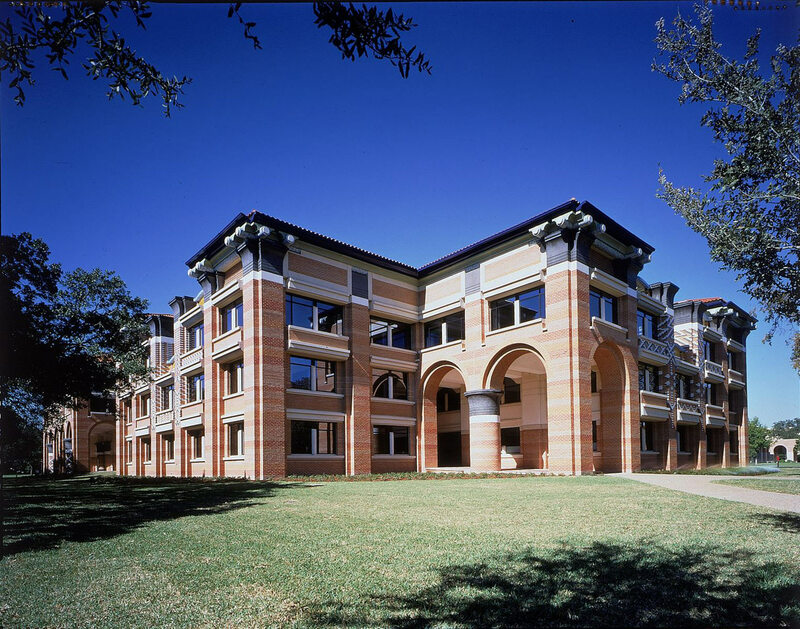 Located on the 100-year old Rice University campus, this facility consists of an auditorium, two lecture theaters, five seminar rooms, and more than two-hundred office/research studios. Courses of brick are separated by wide mortar joints, lending a softness to the building’s appearance. 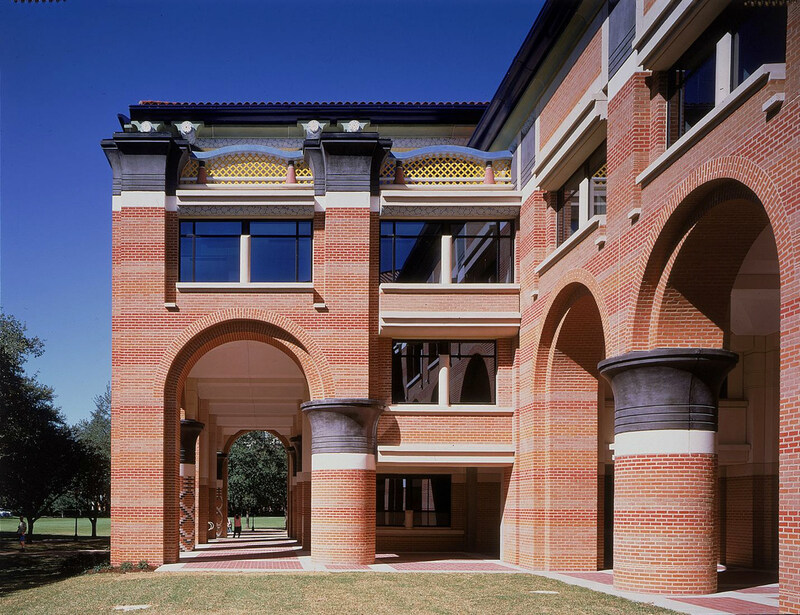 In keeping with Rice’s traditional use of decorative, symbolic concrete and brickwork patterns, colored bricks were laid to portray geological strata and glazed brick patterns are symbolic of ancient cultures. 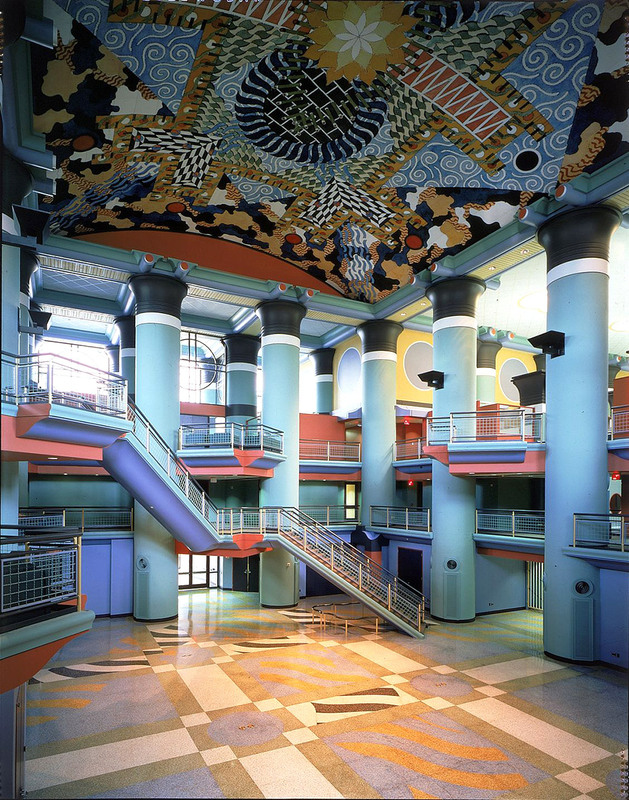 The principles John Outram used to organize the building are rooted in his extensive study of the creation of early civilizations and the development of their cities and architectural orders. As a result, the use of the classical hypostyle grid (in the case of Duncan Hall, an 18’-8” x 18’-8” grid of columns throughout the building) is used as a device to provide order to the physical space, but also to address a very modern need by creating vertical and horizontal pathways for the distribution of data, telecom and power services. Duncan Hall occupies a prominent location in the campus standing next to its oldest building, one of Houston’s most revered architectural monuments, Lovett Hall. 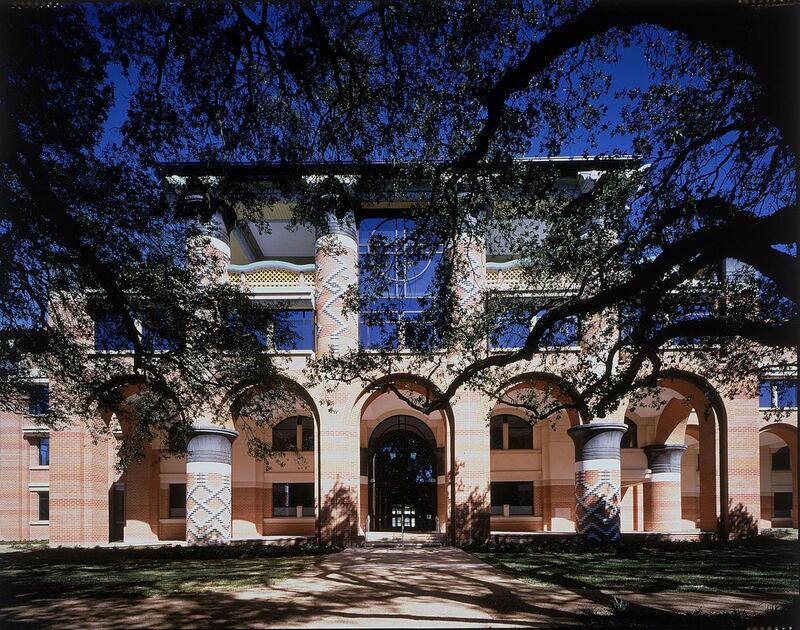 Duncan Hall is now included in the itinerary of visitors interested in Houston’s art and architecture.